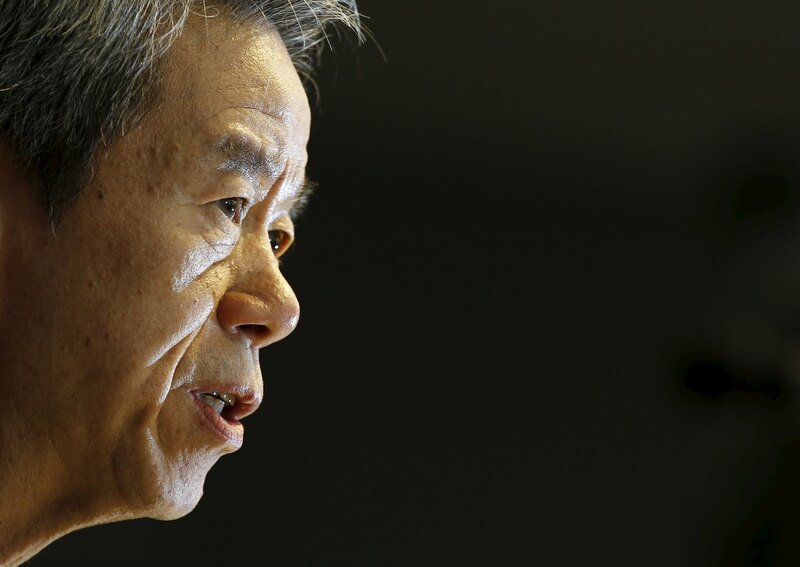 An accounting scandal engulfing Japanese conglomerate Toshiba Corp. has exposed how closed corporate culture, still prevalent even at globally well-known companies in the country, plagues corporate governance. In the country’s worst accounting scandal in years, a third-party panel concluded that Toshiba’s top management had “pressured” employees to achieve ambitious profit targets, saying that a corporate culture that did not allow subordinates to oppose their bosses was behind the dodgy bookkeeping. It also criticized the Japanese conglomerate’s excessive focus on producing numbers. The panel reported that the firm’s “systematic” inflation of profits totaled ¥151.8 billion over nearly seven years. 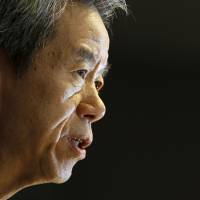 The scandal sent out shock waves as Toshiba had been seen as one of the leading companies in the area of corporate governance. The scandal comes to light at a time when Prime Minister Shinzo Abe is seeking to draw more foreign investment. Japan’s new corporate governance code, introduced in June, encourages companies to appoint multiple outside directors. Amid the presence of assertive shareholders demanding companies quickly improve profitability, analysts say that top management in Japan has become more profit-centric. But a corporate culture like Toshiba’s, with its focus on subordinating employees, is not unique in a country where conformity in organizations and lifetime employment are treasured. To bring about a change in the rigid corporate structure, experts say promoting diversity would help bring new perspectives and enhance transparency and thus contribute to corporate growth over the long term. “(Japan’s) corporate culture encourages you to take the same action as others, and makes you believe that maintaining the status quo is the right thing to do. It’s really hard to change,” said Yamato Sato, professor of management at the Faculty of Business and Commerce of Keio University. “When people with different views come to an organization, they may face resistance at first. But accepting them will also allow the organization to find and fix what may be wrong with it,” Sato added. A growing number of Japanese companies are aware of the need to promote diversity as they further globalize, but the change is coming slowly. One of the reasons is that few companies see diversity management as a long-term investment that will enhance corporate value, experts say. Domestic debate about diversity management has gradually gained momentum over the last two decades or so. Diversity in Japan is often synonymous with promoting women to managerial posts and hiring more non-Japanese executives. Nissan Motor Corp., a Renault S.A. affiliate led by President and Chief Executive Officer Carlos Ghosn since 2001, is a rare example. The graying of Japan’s population has encouraged more and more Japanese companies to look overseas for growth. Finding the right talent for their operations in the increasingly competitive global market is more important than ever. Mitsuyo Matsubara, visiting professor of the Faculty of Economics at Gakushuin University, said promoting diversity is inevitable as globalization progresses and the number of cross-border mergers and acquisitions by Japanese companies increases. But she said Japanese companies by and large remain conservative in managing human resources. “Japanese companies still emphasize Japaneseness rather than diverse perspectives when it comes to human resources management,” said Matsubara, who specializes in diversity management. Japanese firms should go beyond hiring more foreign nationals, experts say. They should promote diversity at various organizational levels. Toyota Motor Corp.’s promotion of Julie Hamp as its first female managing officer in April was a symbolic development, though she stepped down about three months later following her arrest on suspicion of illegally importing a narcotic painkiller into Japan. Toyota Managing Officer Tetsuya Otake told a recent news conference that the Japanese automaker will “put the right people in the right posts regardless of nationality, gender and age to respect diversity,” and become a truly global company. Corporate managers may need to create a work environment for diverse people, encourage them to express candid opinions and build a consensus rather than avoiding conflicts of opinions, the experts say. Keio University professor Sato said Japanese companies have been increasingly seeking to set up a mechanism to strengthen corporate governance over the years, but he questioned its effectiveness in imposing proper checks. One such step is to have outside directors — already a common practice among globally operating Japanese firms — but there have been questions about whether the right people are in the job. At Toyo Tire & Rubber Co. mired in a product data falsification scandal, for instance, the company did not disclose the problem until a year after suspicions first surfaced in February 2014 that its quake shock absorbers did not meeting government requirements. No one blew the whistle before the disclosure in March this year. A team of outside lawyers who investigated the matter concluded that Toyo’s top executives knew about the data-rigging by August 2014, tracing the problem to its corporate culture. The company at the time had three outside directors and four auditors. “If we appoint outside directors, for example, what is important is who they are,” not the fact of having them, Sato said. “It depends on whether top leaders are serious about changing their organizations and making it (the governance system) work,” he added.